Jurassic World has arrived and with it fresh new toys to assuage viewers’ dino-fever. These toys join the ever popular and ever-growing number of dinosaur toys on the shelves that kids play with every day, imagining themselves in control of these terrible thunder lizards. And while many of them can be found in science stores and museum gift shops, just how accurate are the plastic mock ups of the most famous dinosaurs? Turns out, not very. Mashable took it upon itself to be the buzzkill that rates and deflates the educational value of these toys by having a dinosaur expert weigh in on their accuracy. 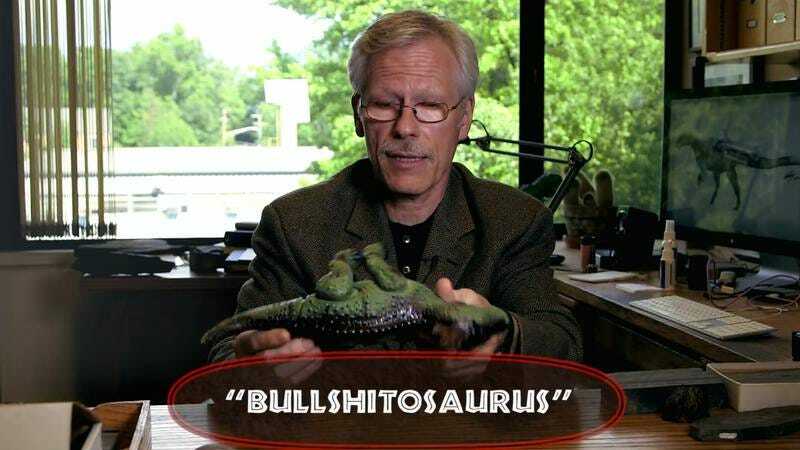 Dr. Paul E. Olsen, of Columbia University, is given a bunch of the little monsters and describes how most lack feathers, have the wrong claws, make the wrong noise, and are generally crap when it comes to being scientifically accurate. However, Dr. Olsen doesn’t think kids should stop playing with these toys just because they aren’t exactly truthful. “I think dinosaur toys are just great,” he enthuses and believes that anything to get more people interested in dinosaurs (even those missing the right plumage) is a win.